Actress Ai-Ai delas Alas and non-showbiz beau Gerald Sibayan finally tied the knot in a star-studded wedding at Christ the King Parish in Quezon City earlier today. She walked down the aisle wearing a lovely wedding dress, which was a gift from Marian Rivera. Some of their celebrity friends from both GMA and ABS-CBN took part in the said event. These included stars like Vic Sotto, Dingdong Dantes, Alden Richards, and Barbie Forteza. Celeb couples Regine Velasquez & Ogie Alcasid were also there. Megastar Sharon Cuneta served as the Matron of Honor. 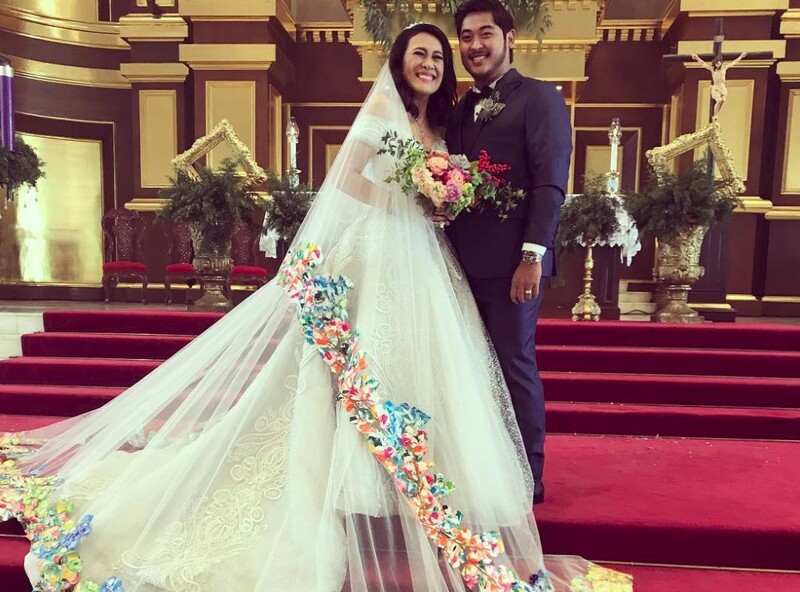 Some big names in the industry like GMA Network Chairman and CEO Felipe L. Gozon, Kapuso lady executive Marivin Arayata, and Regal Films’ Roselle Monteverde were also invited to the wedding. The newlyweds are set to have their honeymoon in Europe. The said trip was said to be a gift from APT Entertainment’s Antonio Tuviera, who was also present during the event.